In response to the 2010 Deepwater Horizon oil spill in the Gulf of Mexico, Wildlife Mississippi worked with other conservation groups and the U.S. Congress to develop the Resources and Ecosystems Sustainability, Tourist Opportunities and Revived Economies of the Gulf Coast States Act, commonly called the RESTORE Act. Some of the estimated 5 million barrels of oil released during the spill fouled hundreds of miles of shoreline from Texas to Florida, including more than 100 miles in Mississippi. The species in harm’s way included the brown pelican, bottlenose dolphin, Kemp’s ridley sea turtle, bluefin tuna and dozens more. Tourism, seafood production and recreational fishing, which generate 35,000 jobs and produce $2.5 billion in annual economic activity on the Mississippi Gulf Coast, suffered as well. 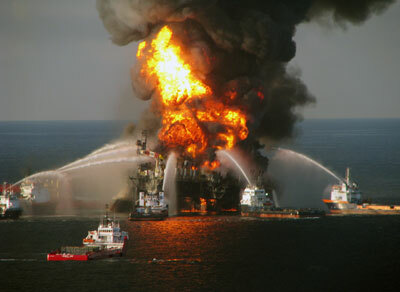 The RESTORE Act established a framework for responding to the spill among the Gulf Coast states and the federal government. It also directed that 80 percent of Clean Water Act penalties from the spill be used to restore and protect natural resources, ecosystems, fisheries, marine and wildlife habitats, beaches and coastal wetlands and to restore the economy of the Gulf Coast region. 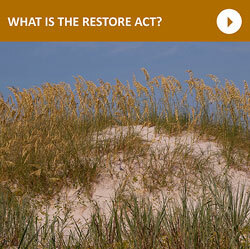 WHAT IS THE RESTORE ACT? HOW WILL IT HELP THE COAST? RESTORE Act funding and other money paid by parties responsible for the Gulf oil spill can be used for a variety of ecosystem projects and projects to restore the Mississippi Gulf Coast economy. Initial funding has been dedicated to restoring populations of beach-nesting birds and their habitats; restoration of natural shorelines; restoration of coastal streams; a project to enhance oyster populations in Mississippi Sound; and projects to expand artificial reefs to enhance recreational fishing. The National Fish and Wildlife Foundation, which is administering some of the spill funding, approved a three-year, $3.6 million grant to Mississippi to develop a comprehensive plan for restoring and conserving its coastal natural resources. The money will be used to assess current ecological conditions and restoration efforts, determine focal areas for restoration and identify priority projects. In addition to ecosystem projects, funding generated through the RESORE Act and other spill-related funds could be used to build public beach-front facilities, enhance state parks, improve port facilities, build fishing piers, promote seafood and tourism industries, and other economic-related projects. Funding to recover from the oil spill will take years – perhaps decades – to materialize. Wildlife Mississippi is working with many partners to take full advantage of this unprecedented opportunity to restore healthy coastal ecosystems that support a diversity of fish and wildlife, provide plentiful recreational opportunities and ensure a vibrant economy for decades to come. Wildlife Mississippi has had a staff presence on the Mississippi Gulf Coast since 2002. Since then, Randy Browning, our Longleaf Pine Program Coordinator, has guided the restoration and enhancement of 11,500 acres of longleaf pine habitat. 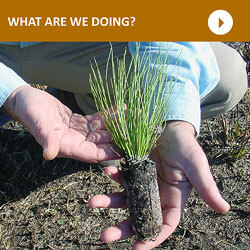 Longleaf pine forests have declined dramatically in Mississippi and throughout the Southeast. Longleaf pine habitats, including wet pine savannas, support a tremendous diversity of wildlife, including the endangered Mississippi Sandhill Crane. Browning also was a principal author of Wildlife Mississippi's landowner handbook for restoring and managing longleaf pine forests, and he has worked with landowners to control the non-native, invasive cogongrass. More recently, Wildlife Mississippi opened a staff office in Biloxi. Robert Smith, Coastal Program Coordinator, is supervising a comprehensive program in response to the 2010 Deepwater Horizon oil spill. 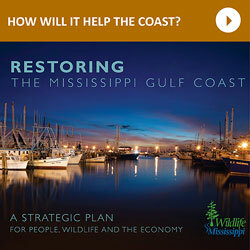 Those efforts involve working with other conservation organizations and agencies to identify the best habitat restoration projects for RESTORE Act funding; establishment of new efforts such as a pilot Endangered Species Reserve Program; and development of a strategic plan for Wildlife Mississippi’s coastal program. Wildlife Mississippi is also working to establish a nature photography program to promote a broader appreciation of nature and conservation on the Mississippi Gulf Coast. The program would feature nature photography contests and workshops, and it would establish a repository for nature-related photos.